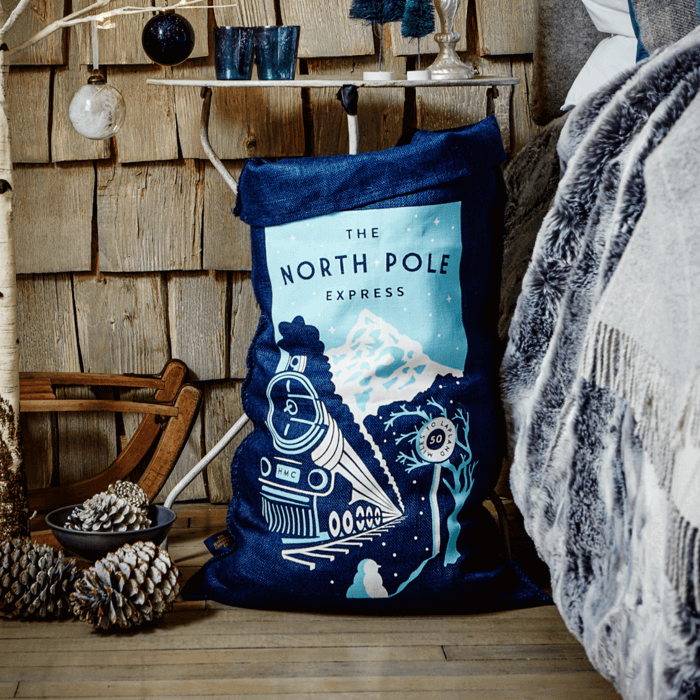 This striking white-on-blue design features the North Pole Express heading straight for its destination. Will please any rail aficionado, young and old alike. Measuring 80 x 53cm and complimented with one metre of branded crimson satin ribbon to tie round the top of the sack.